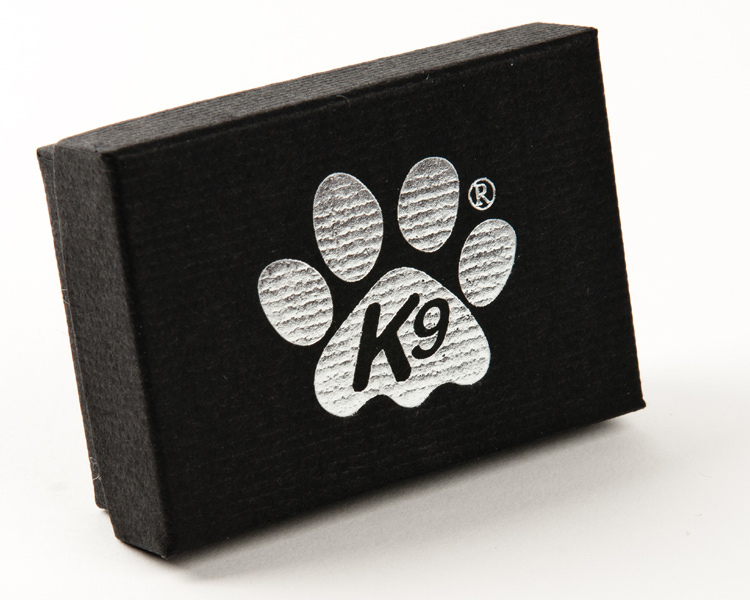 Presented in a matching smart gift box with silver printed K9 logo. Green K9 enameled paw print pet i.d. tag, eye catching with an accent of green. This colourful, sturdy tag is a fashionable and functional gift for your four legged friends. Each tag has a resin outer coating for increased durability and nickel plating. 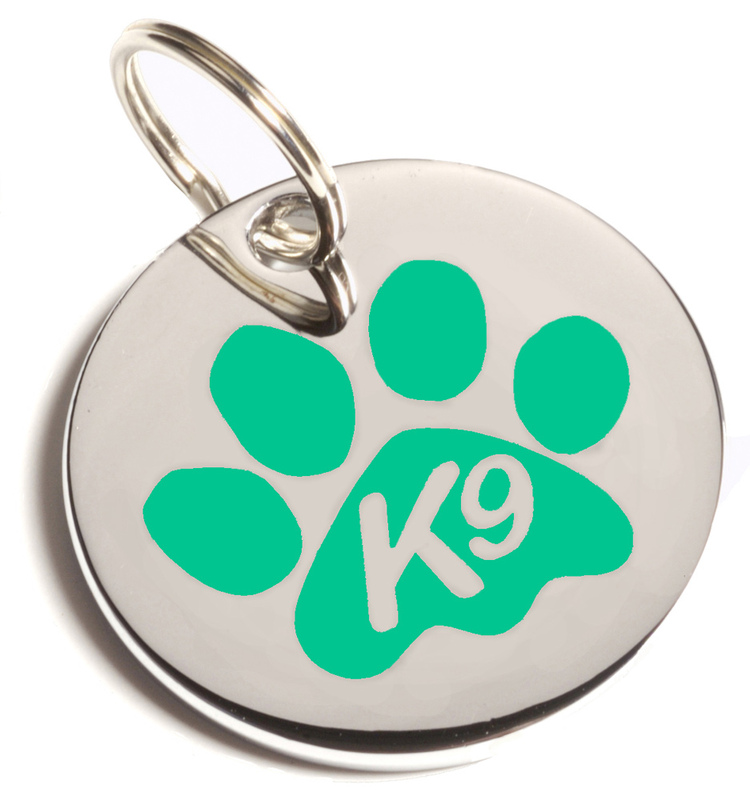 Included with a split ring and presented in a smart gift box with silver printed K9 logo.